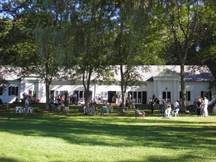 (Falls Village, CT) Music Mountain, America’s Oldest Continuing Summer Chamber Music Festival, continues its 88th season with a very special program featuring renowned pianist Peter Serkin with Anna Polonsky performing works by Bach, Beethoven, Brahms and Schubert for Piano 4 Hands on Sunday, July 2nd (3pm). The weekend gets off to a swinging start on Saturday, July 1st (6:30pm) with Swingtime Big Band! Concerts are scheduled thru September 17th. Sunday’s concert will feature the incomparable Peter Serkin & Anna Polonsky Piano 4 Hands. The special program will feature Bach: Chorale prelude ‘Wenn wir in höchsten Nöten sein’ in G Major, BWV 641; Beethoven: 3 Marches, Op. 45; Brahms: Liebeslieder Waltzes, Op. 52a; Schubert: Allegro in A Minor ("Lebensstürme"), D. 947; Schubert: Andantino varié in B Minor, D. 823; and Schubert: Rondo in A Major, D. 951. Anna Polonsky is widely in demand as a soloist and chamber musician. She has appeared with the Moscow Virtuosi, the Buffalo Philharmonic, the Saint Paul Chamber Orchestra, the Columbus Symphony Orchestra, and many others. Ms. Polonsky has collaborated with the Guarneri, Orion, Daedalus, and Shanghai Quartets, and with such musicians as Mitsuko Uchida, Yo-Yo Ma, David Shifrin, and Richard Goode, among others. She has performed chamber music at festivals, given concerts in Vienna, Amsterdam, and New York, and has toured extensively throughout the United States, Europe, and Asia. A graduate of Juilliard, Ms. Polonsky received her Bachelor of Music diploma from The Curtis Institute of Music under the tutelage of the renowned pianist Peter Serkin. For their 10th visit to Music Mountain, Swingtime Big Band will spotlight Broadway as the wellspring of the Great American Songbook! The evening will also celebrate the 100th Birthdays of legendary artists Ella Fitzgerald, Dean Martin, Dizzy Gillespie and Buddy Rich! Swingtime Big Band is a 20-piece authentic swing band comprised of master interpreters of music from the Swing Era. Led by saxophonist and artistic director Steve Shaiman, the band features vocalists Bobbie Ruth and Jerry Costanzo. The band is committed to keep this important music alive by performing as often as possible for audiences of all ages. Keeping with long-standing tradition, the Saturday Twilight Series features pre-concert dinners at the quaint Falls Village Inn. Experience a piece of history in this 175-year-old Inn before dancing to the biggest swing hits of the 1930s – 1950s! Chamber music concerts continue with Arianna String Quartet with Victoria Schwartzman, Piano (July 9); Penderecki String Quartet with Pamela Mia Paul, Piano (July 16); Ariel Quartet with Soyeon Kate Lee, Piano (July 23); and Harlem String Quartet with Fei-Fei Dong, Piano (July 30). The Saturday Evening Twilight Series continues with The Peter & Will Anderson Trio (July 8); Alexis Cuadrado Group (July 15); Anouman Gypsy Jazz Quartet (July 22); and Alan Ferber Nonet (July 29). Specially Priced Concerts are as Follows: Tickets to the Sunday, July 2 (3PM) Piano 4 Hands Concert with Peter Serkin & Anna Polonsky are $60. Tickets for the Labor Day Benefit Concert & Reception on Sunday, September 3 (3PM) with The Shanghai String Quartet, guest artist Qing Jiang, piano, are $75. Tickets for the closing concert on Sunday, September 17 (3PM) with The Juilliard String Quartet are $60. Chamber Music Concerts are $35. Twilight Series Concerts are $30. Children ages 5-18 are admitted FREE for ALL CONCERTS when accompanied by a ticket holder. Saturday Twilight Concerts are at 6:30pm. Sunday afternoon Chamber Music concerts are at 3pm. 4-Pak Pre-Season Ticket Vouchers are available for $100. Group rates and pre-season ticket vouchers are available. Discounts apply through participating organizations. For a complete summer schedule, special ticket prices, and to download a ticket order form visit www.musicmountain.org or call 860-824-7126. (Falls Village, CT) Music Mountain, America’s Oldest Continuing Summer Chamber Music Festival, continues its 88th season with a very special program: Bach: Chorale prelude ‘Wenn wir in höchsten Nöten sein’ in G Major, BWV 641; Beethoven: 3 Marches, Op. 45; Brahms: Liebeslieder Waltzes, Op. 52a; Schubert: Allegro in A Minor ("Lebensstürme"), D. 947; Schubert: Andantino varié in B Minor, D. 823; and Schubert: Rondo in A Major, D. 951 featuring renowned pianist Peter Serkin with Anna Polonsky on Sunday, July 2nd (3pm). The weekend gets off to a swinging start on Saturday, July 1st (6:30pm) with Swingtime Big Band! Tickets to the Sunday, July 2 (3PM) Piano 4 Hands Concert with Peter Serkin & Anna Polonsky are $60. Twilight Series Concerts are $30. Children ages 5-18 are admitted FREE for ALL CONCERTS when accompanied by a ticket holder. Visit www.musicmountain.org or call 860-824-7126.